Christian Bale opened the evening by taking home the Best Supporting Actor prize for his amazing turn in "The Fighter." Bale was clearly pleased, both to win the award and to finally find out who the Hollywood Foreign Press actually is, a group he had encountered at many press junkets in the past. "I just usually sat there while you argued amongst yourselves," said Bale. "And now I know who you are and suddenly I realize how wise and perceptive those guys really are." 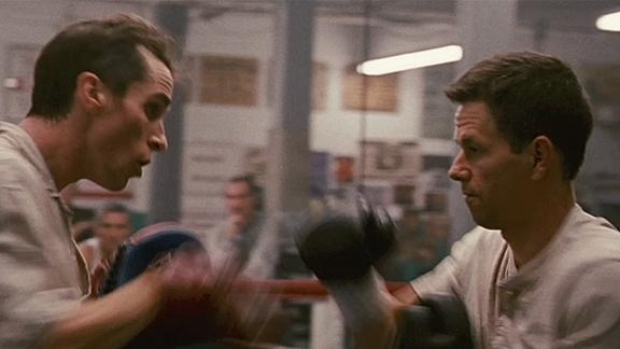 It was the kind of role that awards voters love, a tortured junkie with messed up teeth and an out-sized personality, and Bale crushed the role of Dickie Eklund, brother of Irish Micky Ward.